The Third Brigade is made up of a mix of Old Glory Figures, Wargames Foundry and my own homemade figures - in fact the highland infantryman used in the 15th and 16th Battalions was the first figure I ever modelled and cast! 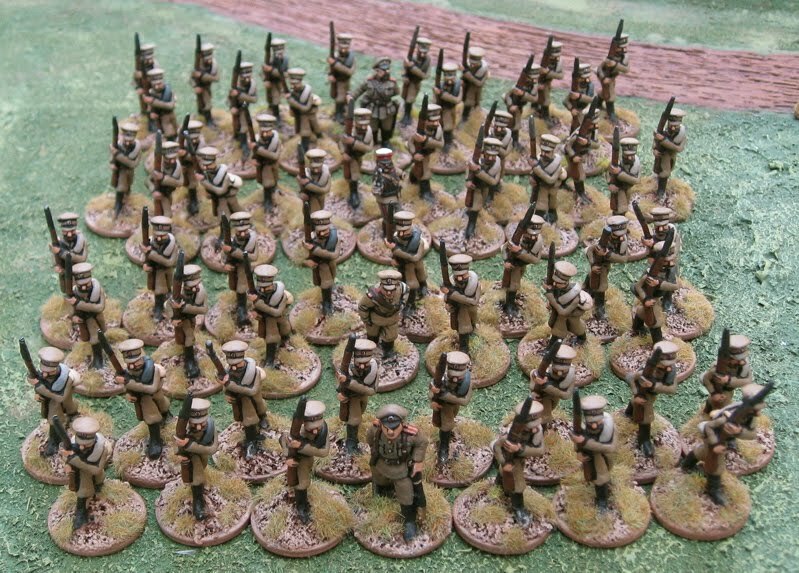 The 4th Infantry Brigade is made up of figures from 1st Corps. 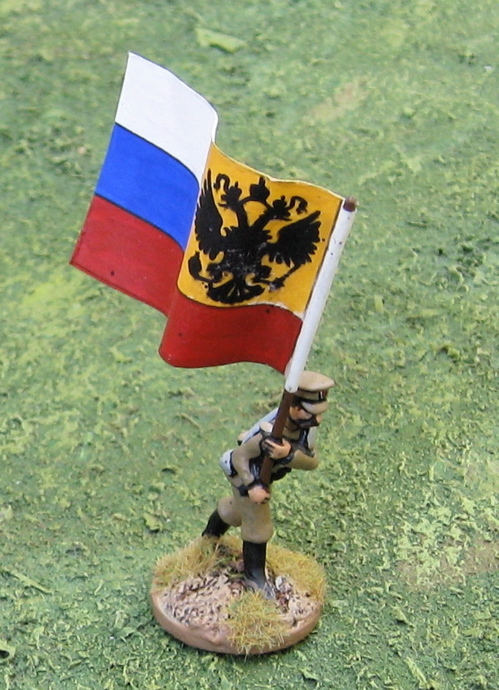 The remaining battalion of the 4th Brigade (21st battalions) shall be posted soon-ish. 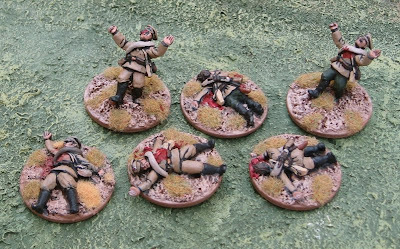 I also have a selection of casualties from Gripping Beast/Woodbine Design that can be used as casualty or morale failure markers. They are painted with 5th Brigade insiginia, but will likely see use throughout the 2nd division. 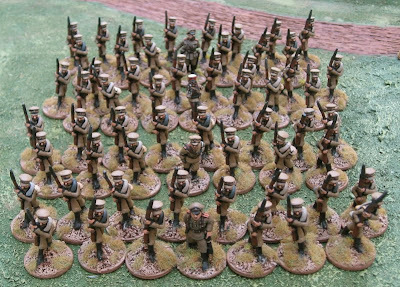 The entire 7th Brigade is made up of figures from Great War Miniatures. Casualties/Morale Failure markers for the 7th Infantry Brigade. The entire 8th Brigade is made up of figures from Renegade Miniatures. The 9th Brigade included the 43rd (Cameron Highlanders) Battalion, the 52nd (North Ontario) Battalion, the 58th (Central Ontario) Battalion, and the 60th (Victoria Rifles) Battalion. 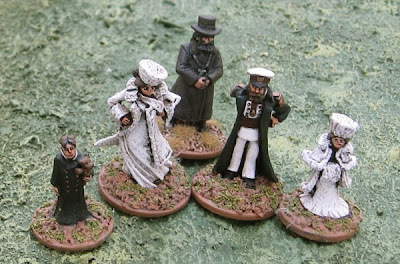 This brigade is made up of figures from Brigade Games. Took no part in the action at Vimy - they weren't even part of the Canadian Corps. But I thought I'd do them for giggles at some point. 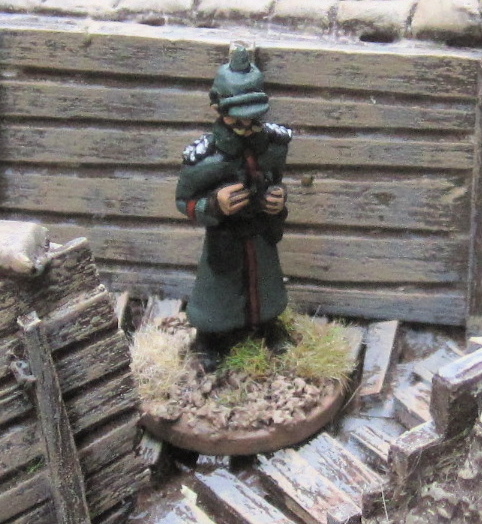 I have two regiments worth of figures from Great War Miniatures I need to get painted at some point. 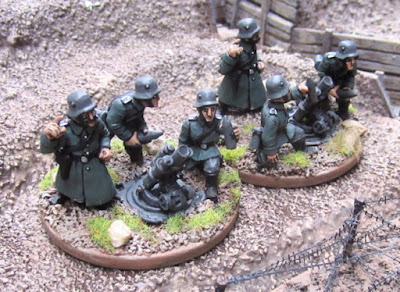 Most of the Germans I have were modelled, molded and cast by myself. Gruppe Souchez occupied the line just North of Gruppe Vimy. Some of the Canadians assaulting Vimy Ridge (and later "The Pimple") faced elements of the 16th Bavarian Reserve Division which were part of Gruppe Souchez. 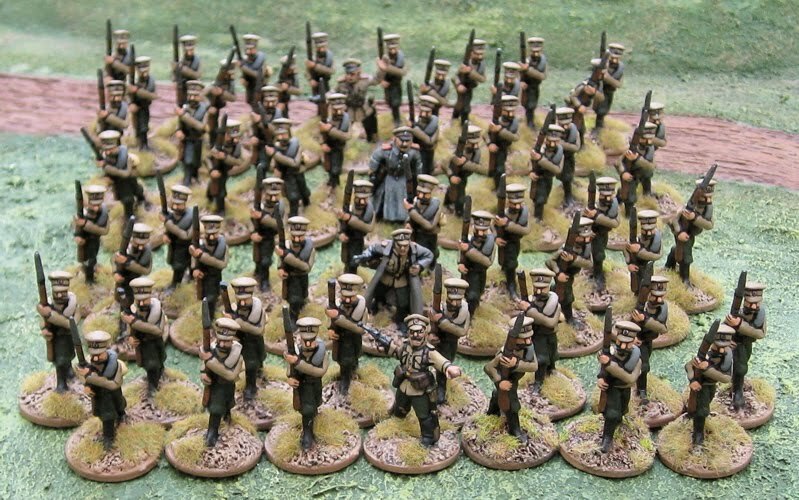 The Regiment is made up of four battalions of fifteen figures each. 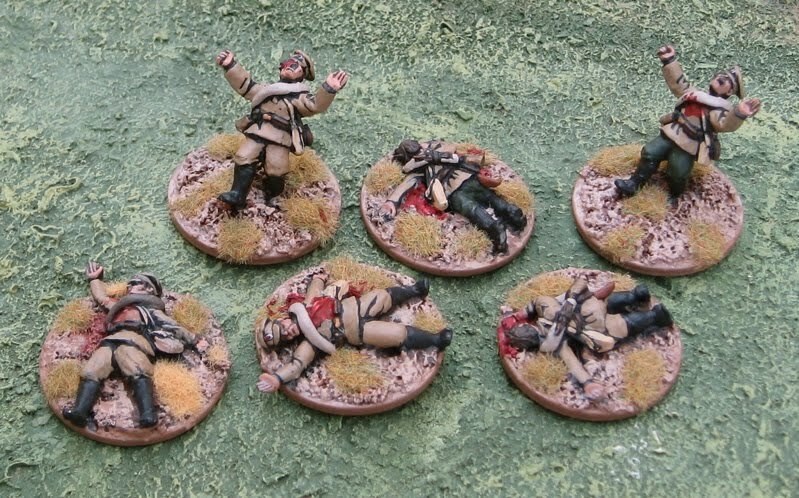 Some dead and dying Russians for morale failure tokens. These are from Old Glory. Currently I have a batch of Carabiniers. I’d like to pick up another 12 (at some point!) to fill out two units of 15. 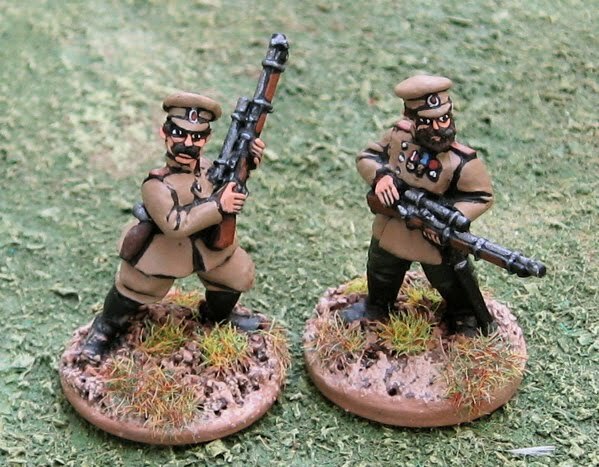 These 1914 Belgian Carabiniers from Great War Miniatures. 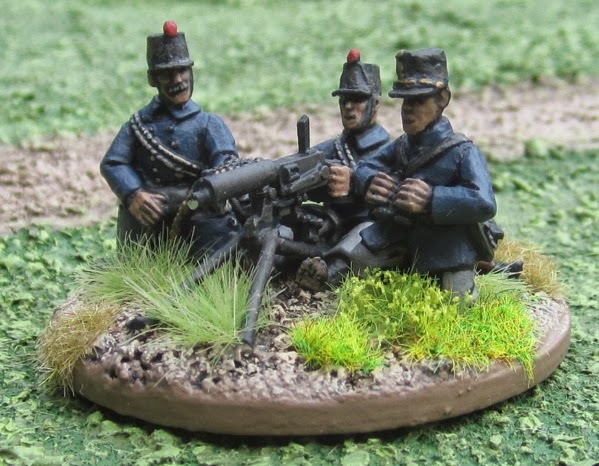 a 1914 Belgian MG team - also from Great War Miniatures. I do have a few more MG teams to paint up yet. Great War French Chasseurs à Cheval from Renegade Miniatures. 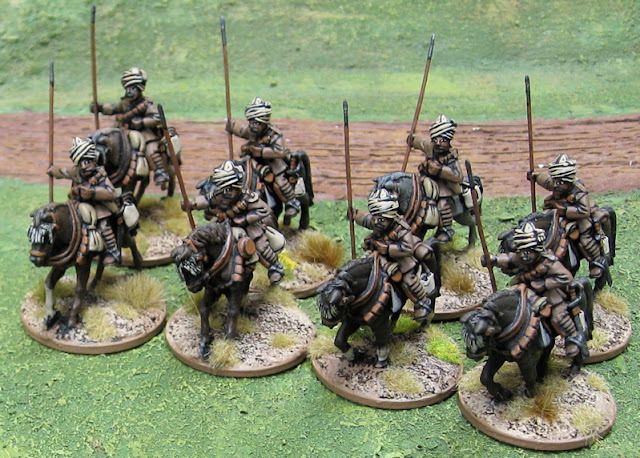 I have a second cavalry unit of Dragoons from Great War Miniatures that needs to be painted. 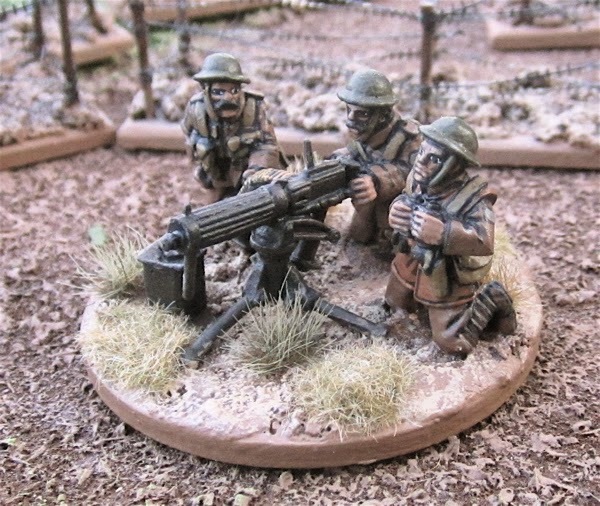 The first regular infantry unit (from Great War Miniatures). The second regular infantry unit (also from Great War Miniatures). 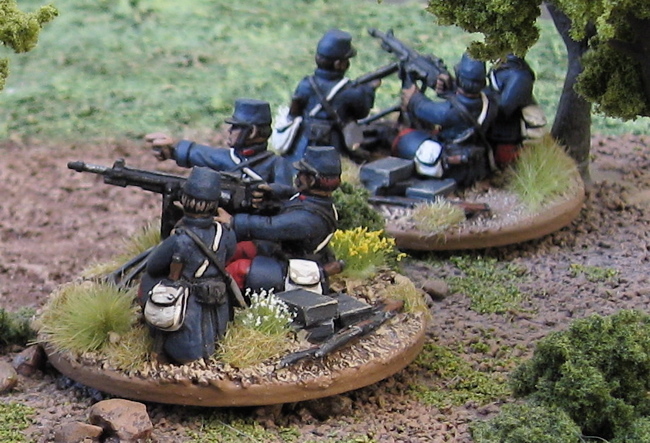 One more unit of infantry still to paint. 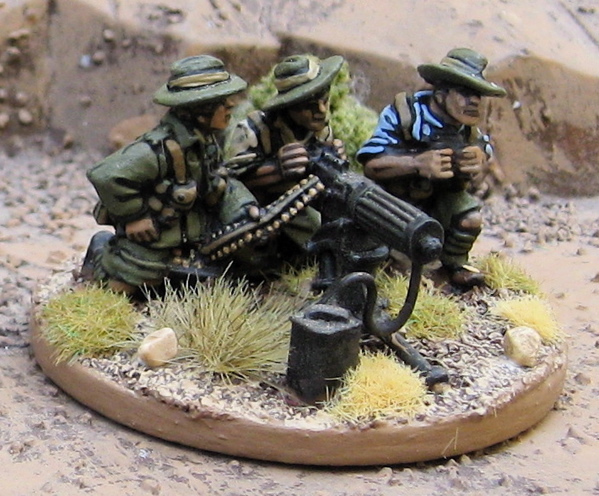 Two Great War French St. Étienne machine-gun teams also from Great War Miniatures. I need to pick up some guns for them! 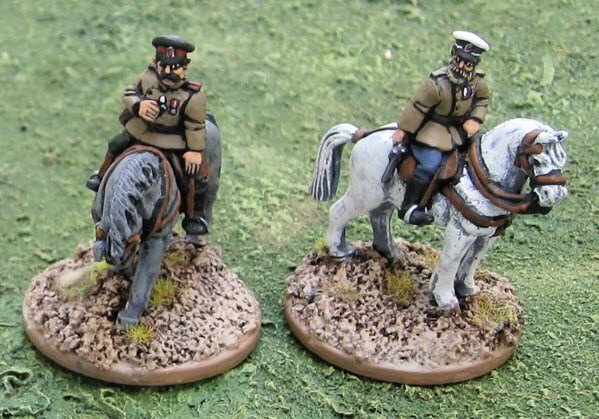 Great War German Hussars from Wargames Foundry. 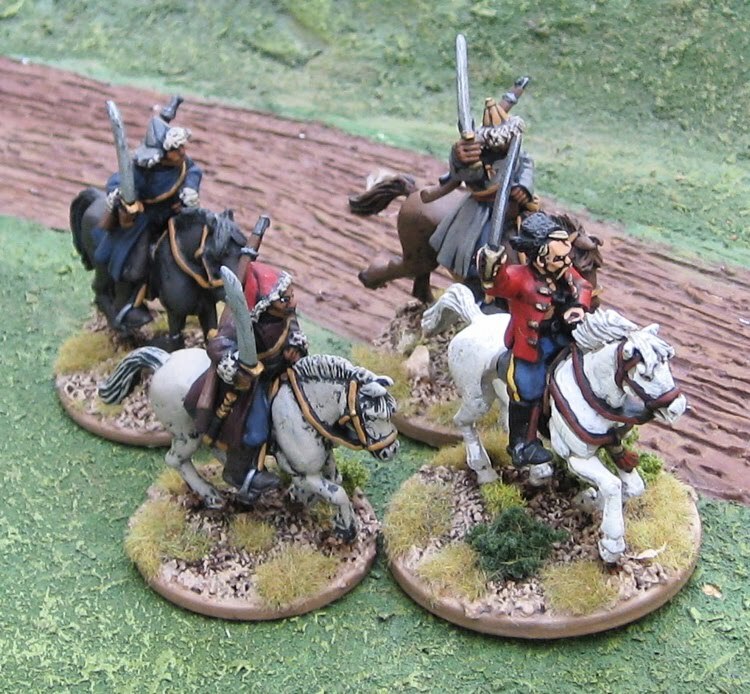 Great War German Dragoons also from Wargames Foundry. 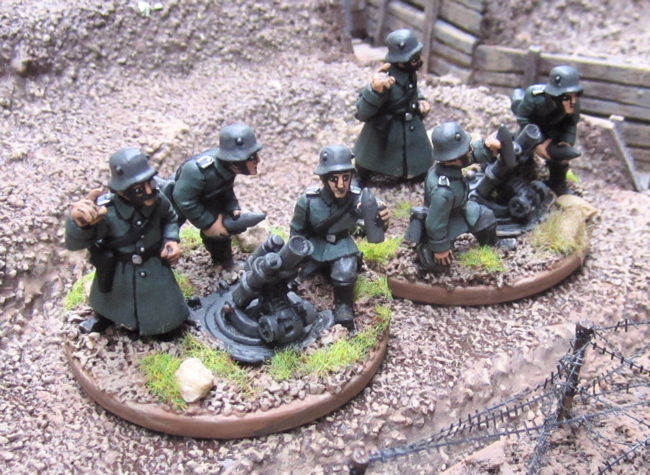 Finally, a unit of Jägers (also from Wargames Foundry). 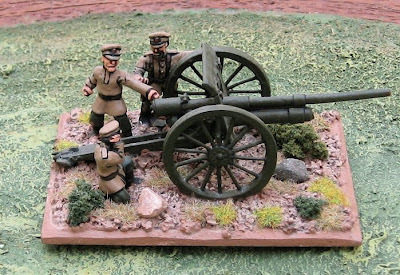 A small force of units from the BEF for the initial engagements of the Great War. British Cavalry Unit from Renegade Miniatures. 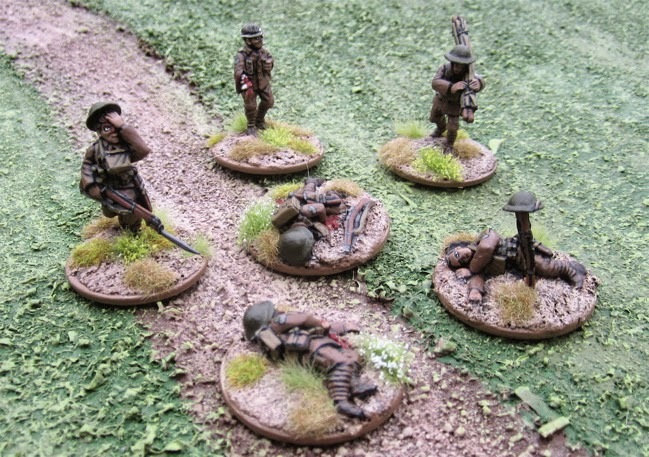 A unit of British Infantry - also from Renegade Miniatures. I do also have some more 1914 British... at some point I'll get some pictures of them.. 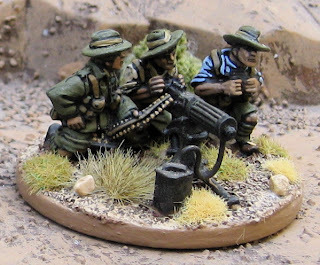 I have teh beginnings of a small force of ANZACs (mostly Australian Light Horse) for battling my Turks in the Middle East. Australian Light Horsemen from Brigade Games. 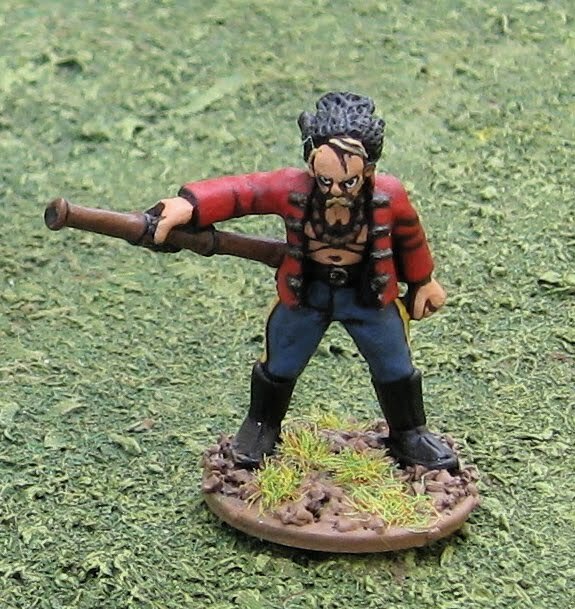 I have a second unit of these to paint at some point. ALH Vickers team for a bit of support. And that's pretty much it... I'd like to pick up some infantry and machine-gun teams at some point - and some more of these cavalrymen - but they're a pretty low priority at the moment. Here are my German forces for East Africa (or Timbogo, should I ever decide to set some Great War battles in my fictional African nation!) 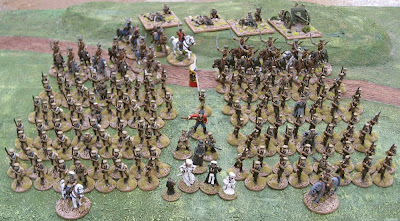 The force is made up of figures from Copplestone Castings, Wargames Foundry, Brigade Games, and a number of my own askaris. 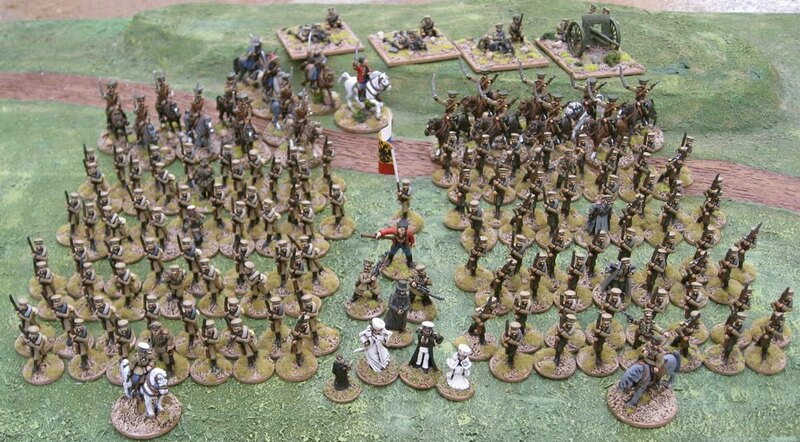 Some of the troops (native bearers and tribal warriors) could easily be fielded on one side or the other, I suppose, but I've pictured them here to show how large the force COULD be. At some point I'll post pictures of the individual units.